FOR IMMEDIATE RELEASE, London —American organizations are forecast to spend 1.75 times more than European organizations on information technologies from 2018 through 2022. According to a recent study from IDC, Western Europe Risks Losing the Technology Race, China is also set to outpace Europe in key areas. While European entities will invest more into IT than their Chinese counterparts through 2022, the latter will invest 47% more into innovation accelerators. "That Europe trails the US in its use of digital technology is often accepted as a given. 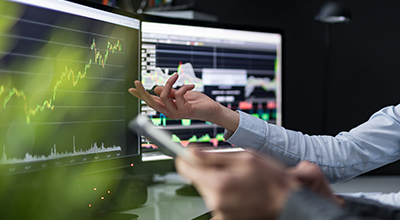 What's worrisome is the size and potential widening of the gap between the two," says Mark Yates, Research Manager, Digital Transformation, IDC Europe. "And, of course, there are companies out there that are able to do more with less or that have not yet pushed their IT systems to their full potential. And there is a great deal that can be done by restructuring the organization and resetting business goals. But so much innovation today depends on use of cutting-edge technologies, that new spending will almost always be needed to remain competitive." The most extreme technology example cited in the study is artificial intelligence (AI). Already used in security, customer service, and ecommerce, AI is being increasingly deployed to improve manufacturing, logistics, staff recruitment and management, and healthcare. Forward-looking enterprises consider AI to be crucial for reducing costs, facilitating revenue growth, and improving customer experience. AI is utterly dominated by U.S.-based organizations, which are expected to invest more than 4.5 times more than those based in Europe from 2018 to 2022, even though they have similar GDPs. (The ratio holds even if investments by government and IT firms are excluded.) The largest spending area cited in the study is the Internet of Things (IoT), where total spending is around 16 times higher than for AI, mainly because the immediate benefits are usually more apparent on balance sheets and cashflow statements. Again, both U.S.-based and China-based enterprises are forecast to invest more both in absolute terms and as a percentage of GDP through 2022. "It's important to recognize that European goods and services are still in high demand," says Marc Dowd, Principal Client Advisor, IDC Europe. "Many European enterprises, especially in Central and Northern Europe, have done an exceptional job of streamlining operations, innovating new business, and maintaining high standards without a lot of cutting-edge technology. But that won't last. Whether deployed via the cloud or client-based systems, ERP and CRM solutions are essentially commodities. So too are a lot of tools used to ensure quality. European firms will need to up their technology game considerably over the next few years if they wish to stay competitive both globally and on the continent." IDC's Western Europe Risks Losing the Technology Race uses IT investment forecasts to argue that Western European organizations may be falling behind businesses in other developed regions in their deployment of new technology. The document analyzes the reasons why WE businesses may be at risk and provides guidance for correcting the situation and ensuring European competitiveness. 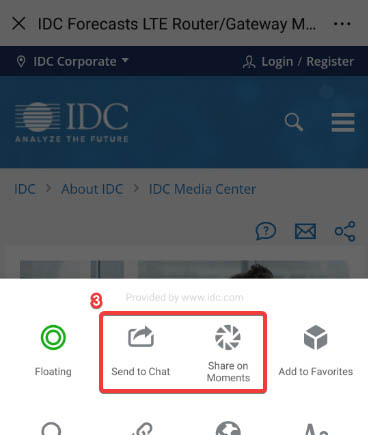 IDC leads the innovation discussion through events, research, and consulting. For more than five decades it has been giving IT and business professionals data and insight for making strategic and practical decisions. 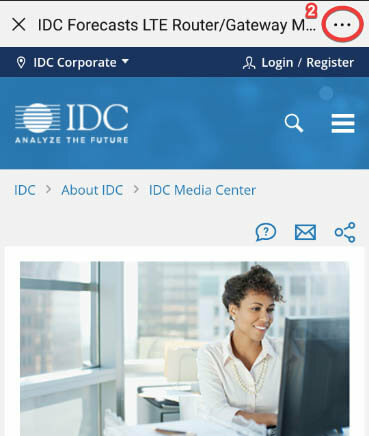 IDC is a subsidiary of IDG [or Oceanwide] ?, the world's leading technology media, research, and events company. Learn more at www.idc.com.